After two weeks of delay, Microsoft started rolling out a fresh new build for Windows Insiders in the fast ring. 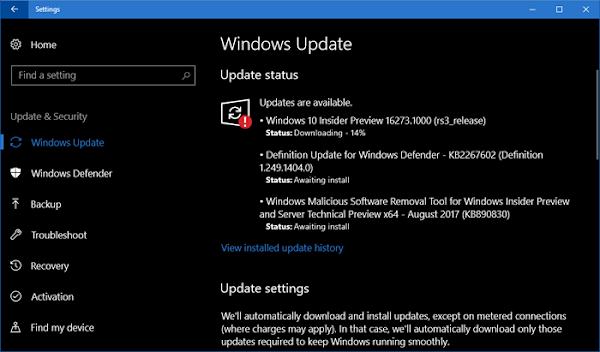 Windows 10 Preview Build 16273 includes a set of new improvements and fixes, stepping ahead to release the Fall Creators Update in the coming month. Checkout the blog post to know what has been changed in this build, to grab an idea of the improvements made in it. You can check the entire release note of this build in Microsoft Official Blog for Windows Insiders. 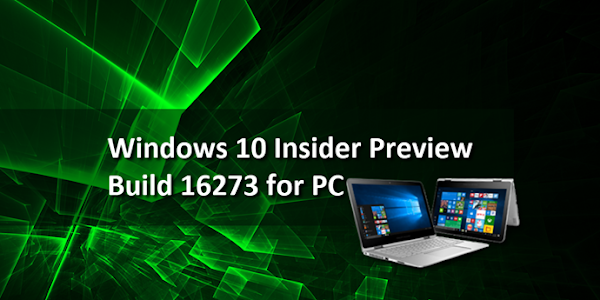 If you have come this far, it means that you liked what you are reading (Windows 10 Preview Build 16273 for PC is now rolling out to Insiders).